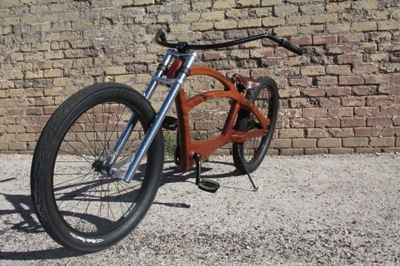 A skilled cabinet maker, Preston Brown, turns a bike hobby into a business with Driftwood Cruisers. 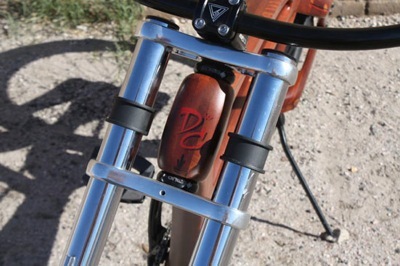 This is a bike you’re likely not going to see in handbuilt bike shows, but look at the craftsmanship and “small-batch,” one-of-a-kind creation. Each is built from premium hardwoods and custom finishes. 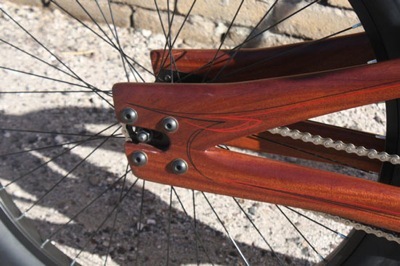 Preston has brought a hotrod aesthetic to bike building and he’s obviously doing it for the love. Read more about him in this profile from AZ Central. Would like to see how he’d fair in an ultimate utility bike challenge. Really what’s more city bike than a cruiser that looks cool or the utility of riding on a boardwalk on a Summer evening?